Standard version for general use. An attractively priced version of SILMET 4032. 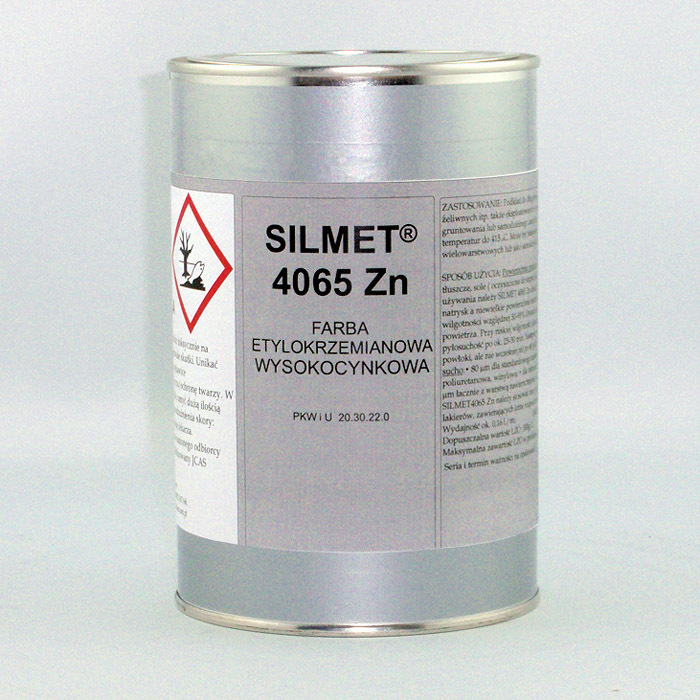 SILMET 4041 protects vehicle exhaust system elements, such as mufflers (except for catalytic converters), exhaust pipes, combustion engine blocks, etc. 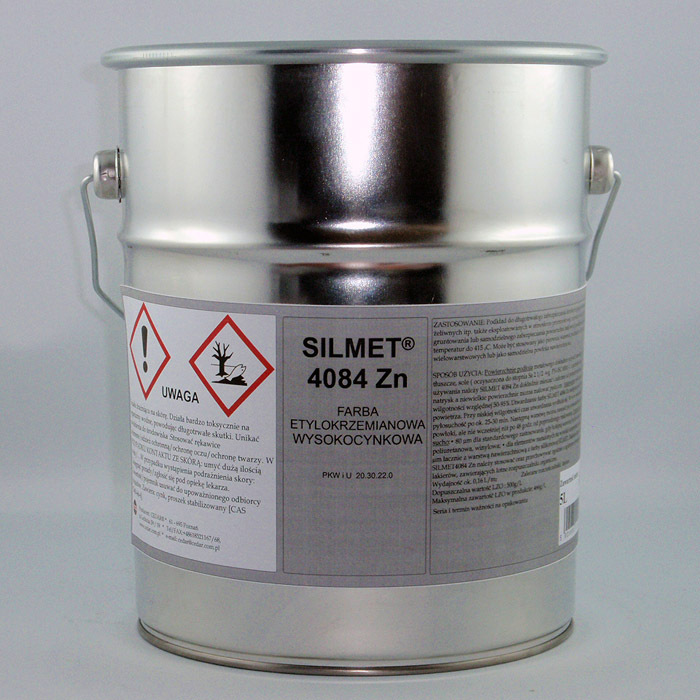 SILMET 4041 could be applied as preserving agent for metal constructions used in increased temperatures (chimneys, fittings, and furnaces). Excellent for household heating appliances like heaters, radiators and other object exposed to increased temperature. Forms silver-mat decorative cover. SILMET 4041 is thick and does not flow off the painted surface. 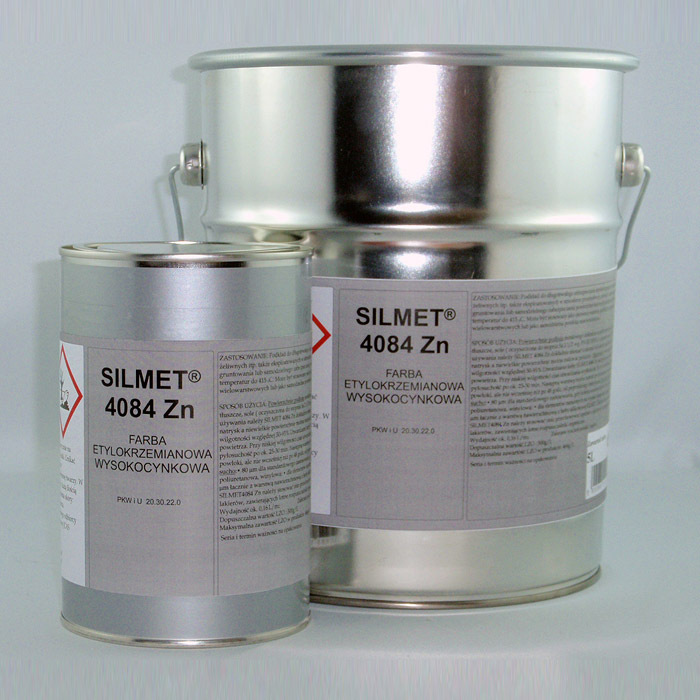 Due to high resistance for outdoor conditions and waterproof properties SILMET 4041 could be used as protection for plaster, concrete and wood elements. Zinc-plated sheets could be covered also (after oxide removal). For the protection of personal data, please contact the security card and the technical specification of the product by email: cedar@cedar.com.pl . To properly prepare the documentation, please provide the product name and basic data that will be useful for shipment. 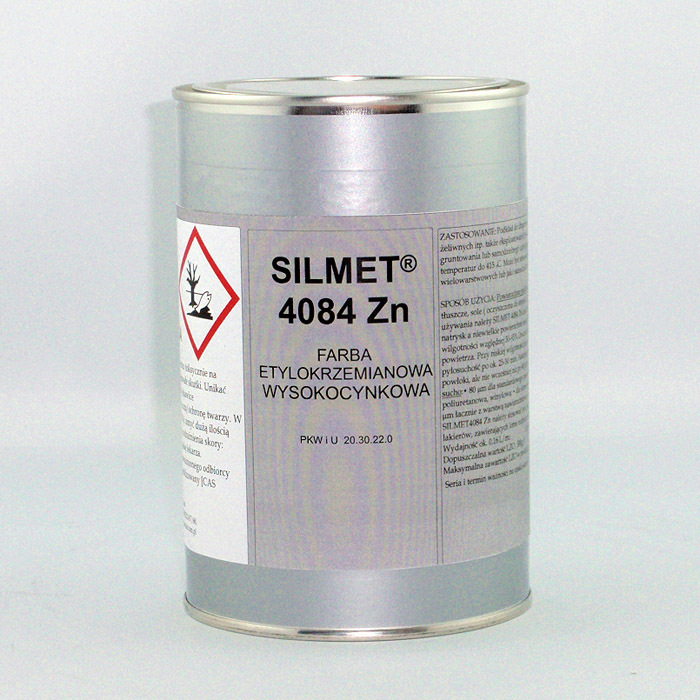 SILMET 4032 can be used for internal combustion engine blocks and silencers protection. 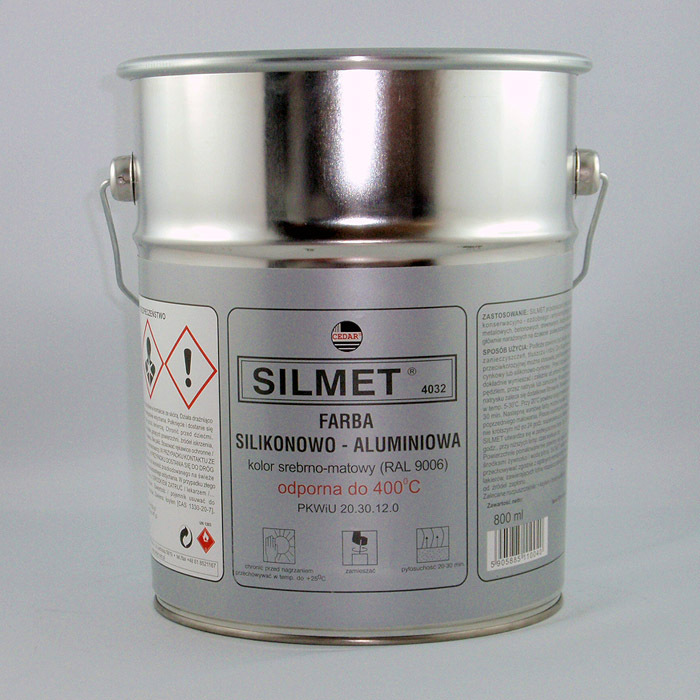 SILMET 4032 could be applied as preserving agent for metal constructions used in increased temperatures (chimneys, fittings, and furnaces). Forms silver-mat decorative cover. SILMET 4032 is thick and does not flow off the painted surface. 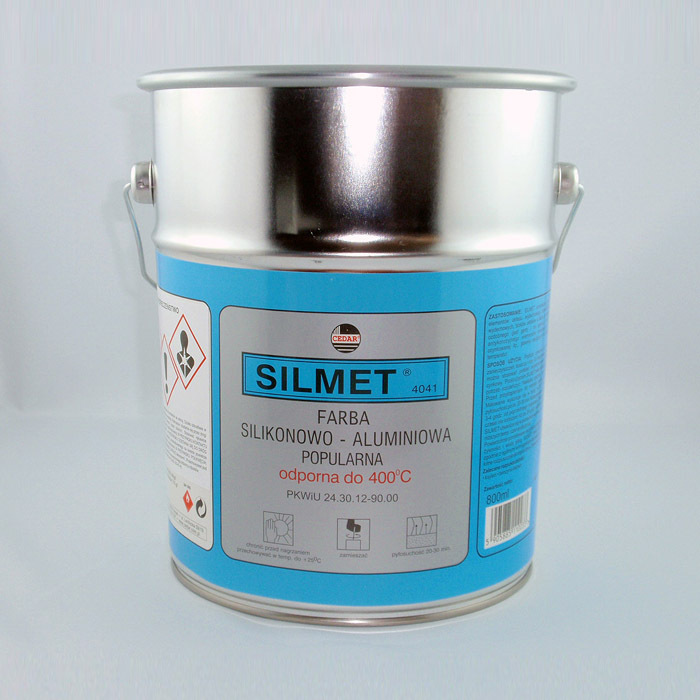 Due to high resistance for outdoor conditions and waterproof properties SILMET 4032 could be used as protection for plaster, concrete and wood elements. Zinc-plated sheets could be covered also (after oxide removal). For the protection of personal data, please contact the security card and the technical specification of the product by email: cedar@cedar.com.pl. To properly prepare the documentation, please provide the product name and basic data that will be useful for shipment. Product on request for professional use. 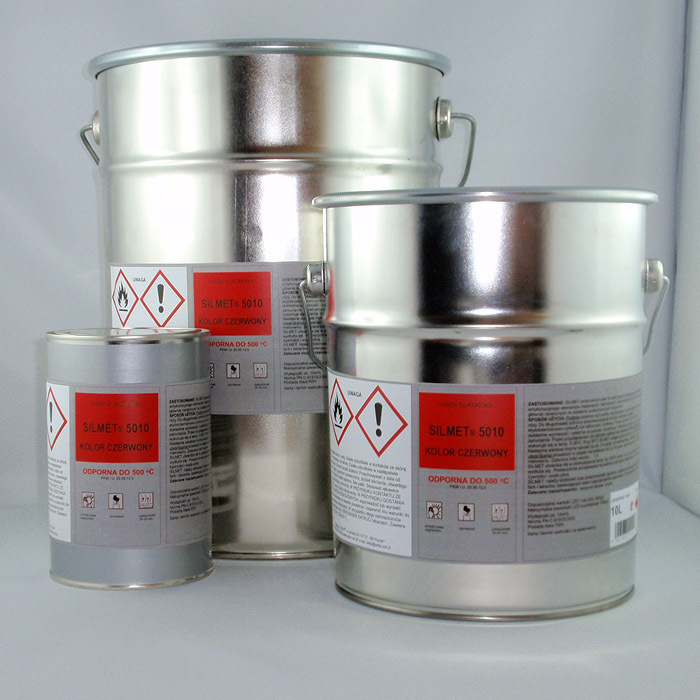 Developed to meet requirements for spray can paints. Formula developed with spray can paint producers in mind. 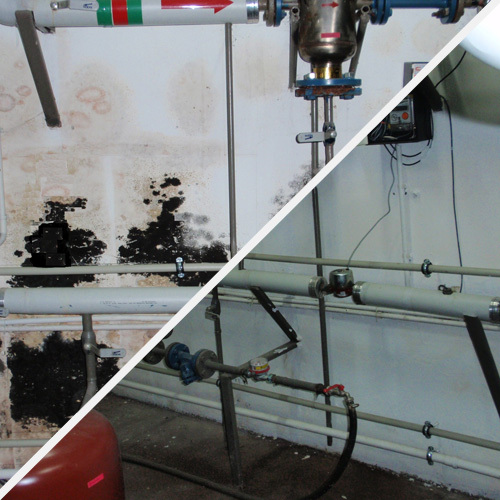 The primer prepared in this manner requires only minor preparation steps at the customer's. 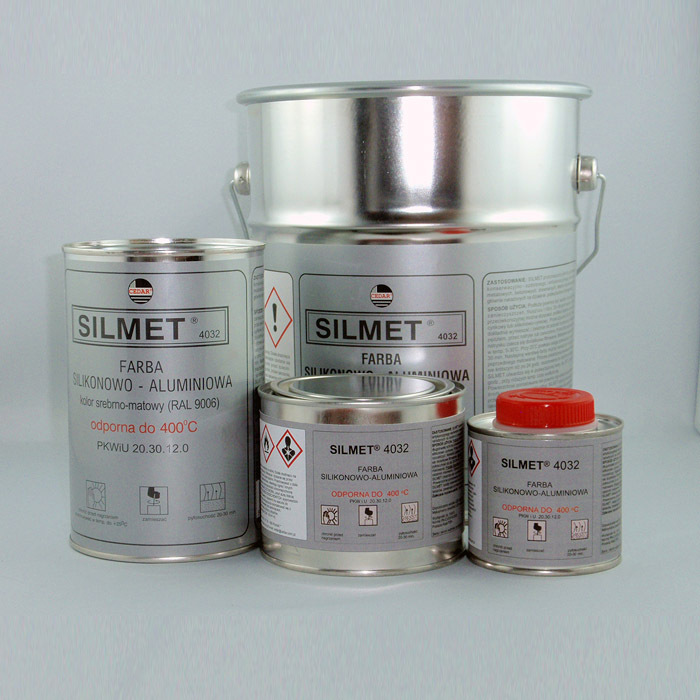 SILMET 4032 S could be applied as preserving agent for metal constructions used in increased temperatures (chimneys, fittings, and furnaces). Forms silver-mat decorative cover. SILMET 4032 S is thick and does not flow off the painted surface. Due to high resistance for outdoor conditions and waterproof properties SILMET 4032 S could be used as protection for plaster, concrete and wood elements. Zinc-plated sheets could be covered also (after oxide removal). Version for general and decorative use. 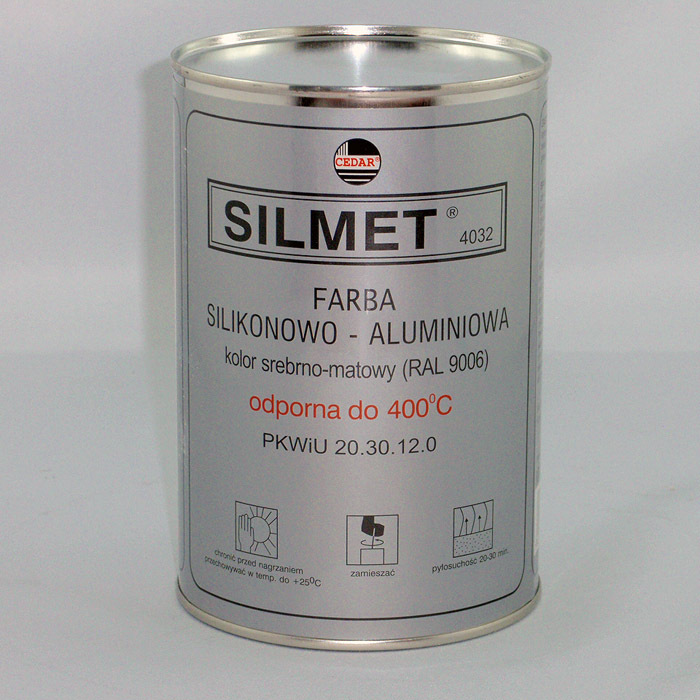 SILMET 5010 could be applied as preserving agent for metal constructions used in increased temperatures (chimneys, fittings, and furnaces). Forms white decorative cover. SILMET 5010 is thick and does not flow off the painted surface. 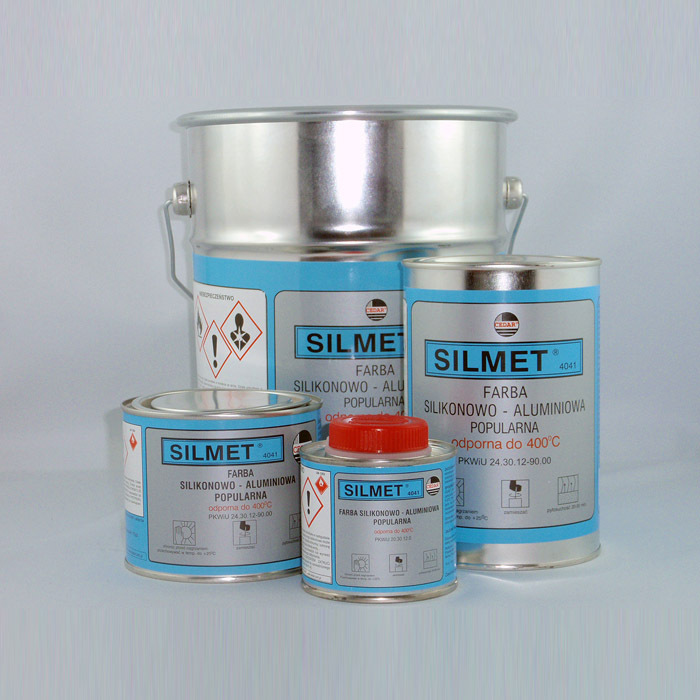 Due to high resistance for outdoor conditions and waterproof properties SILMET 5010 could be used as protection for plaster, concrete and wood elements. Zinc-plated sheets could be covered also (after oxide removal). 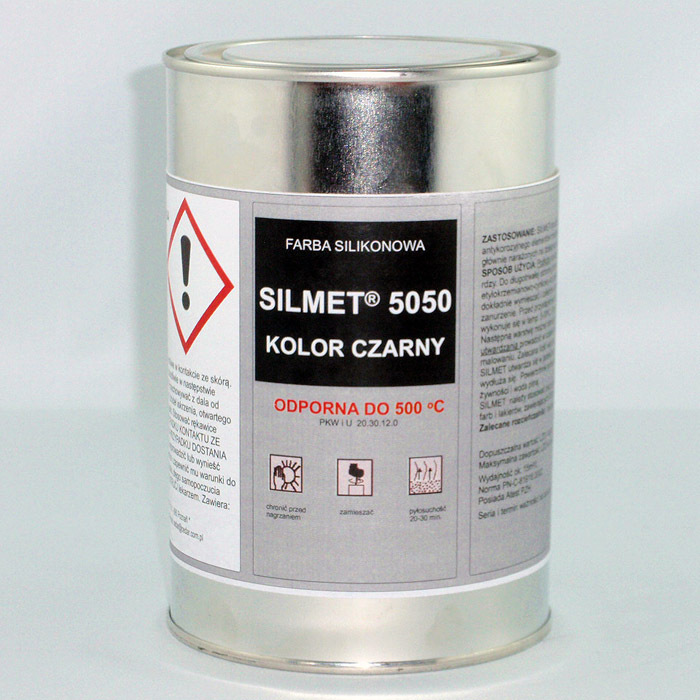 SILMET 5050 WHITE can be used for internal combustion engine blocks and silencers protection. 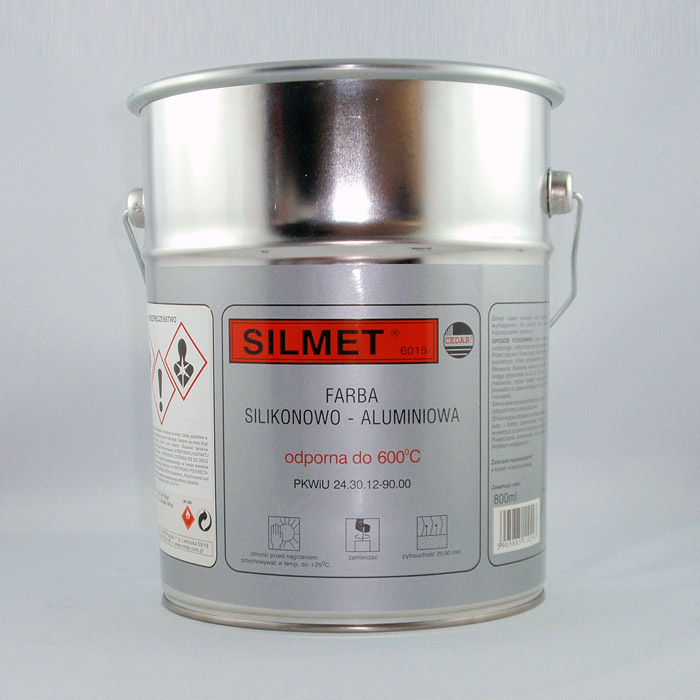 SILMET 5050 WHITE could be applied as preserving agent for metal constructions used in increased temperatures (chimneys, fittings, and furnaces). Forms white decorative cover. SILMET 5050 WHITE is thick and does not flow off the painted surface. Due to high resistance for outdoor conditions and waterproof properties SILMET 5050 WHITE could be used as protection for plaster, concrete and wood elements. Zinc-plated sheets could be covered also (after oxide removal). 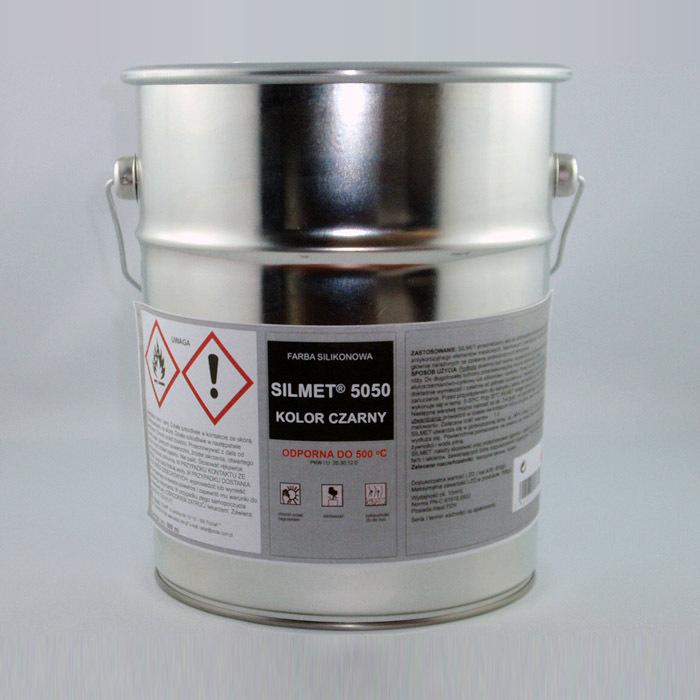 SILMET 5050 GRAPHITE can be used for internal combustion engine blocks and silencers protection. 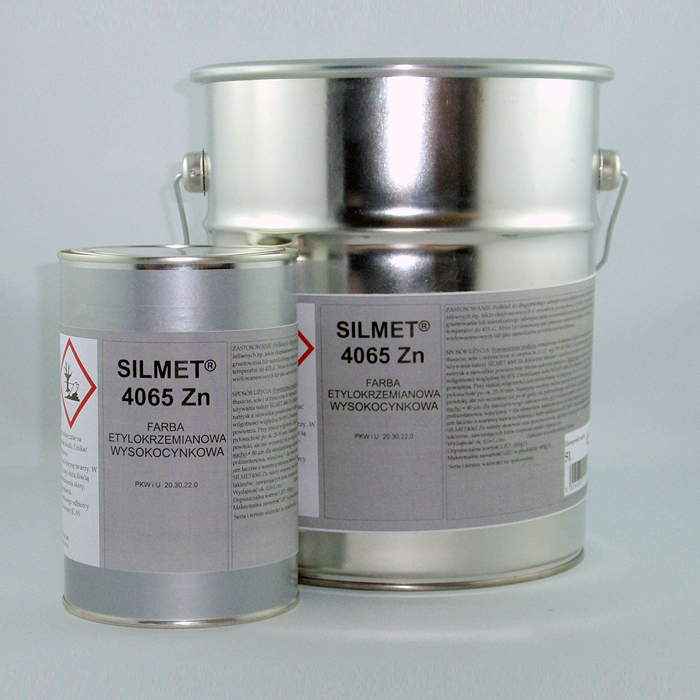 SILMET 5050 GRAPHITE could be applied as preserving agent for metal constructions used in increased temperatures (chimneys, fittings, and furnaces). Forms graphite(~ RAL 7043) decorative cover. 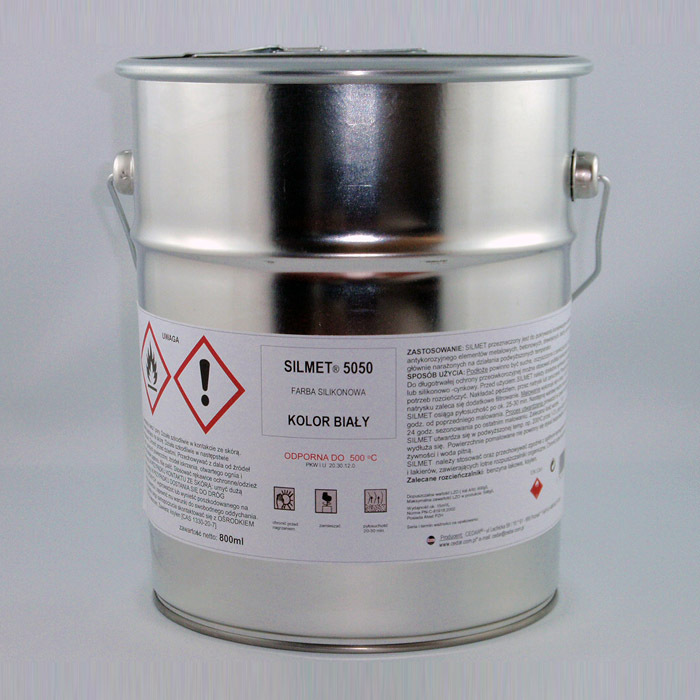 SILMET 5050 is thick and does not flow off the painted surface. 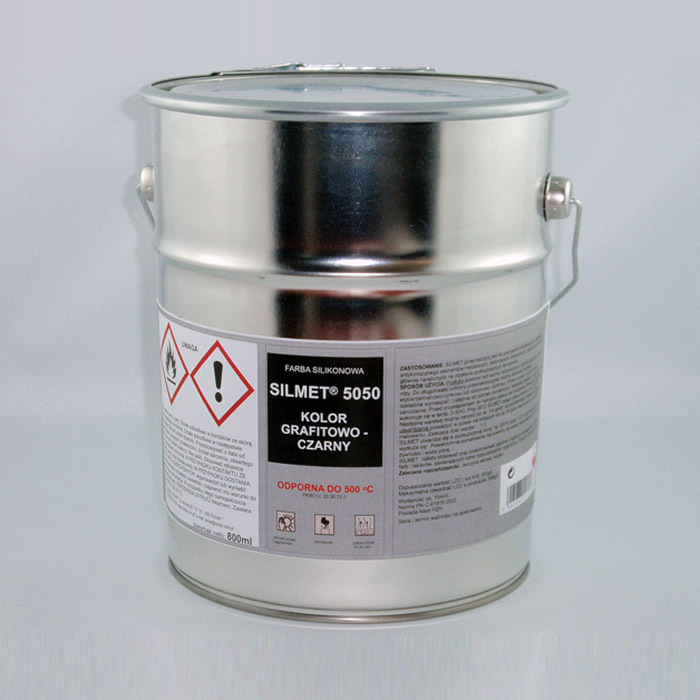 Due to high resistance for outdoor conditions and waterproof properties SILMET 5050 GRAPHITE could be used as protection for plaster, concrete and wood elements. Zinc-plated sheets could be covered also (after oxide removal). 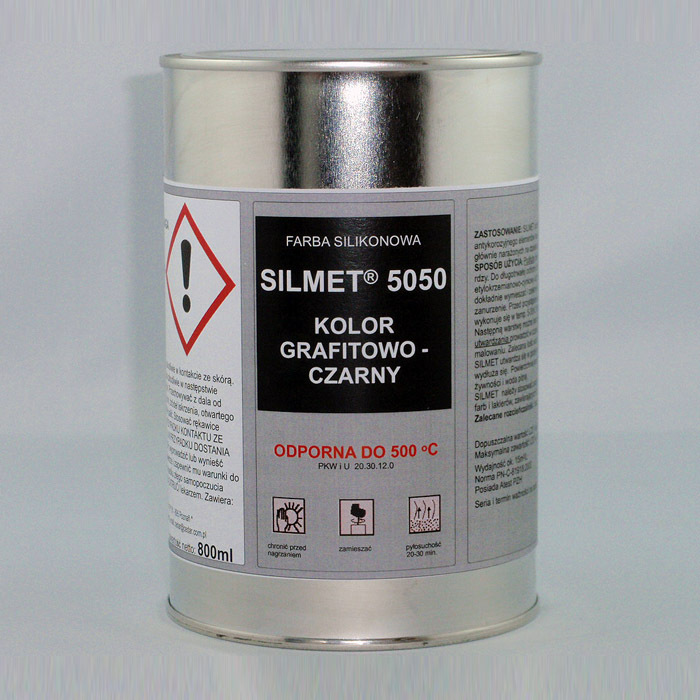 SILMET 5050 BLACK can be used for internal combustion engine blocks and silencers protection. 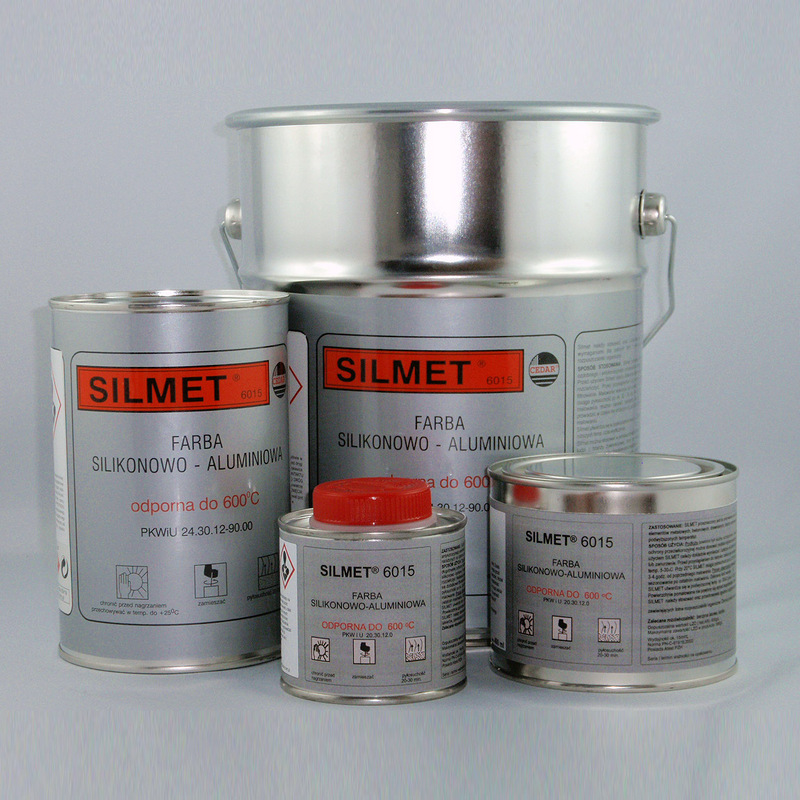 SILMET 5050 BLACK could be applied as preserving agent for metal constructions used in increased temperatures (chimneys, fittings, and furnaces). Forms black-mat (RAL 9004) decorative cover. SILMET 5050 BLACK is thick and does not flow off the painted surface. 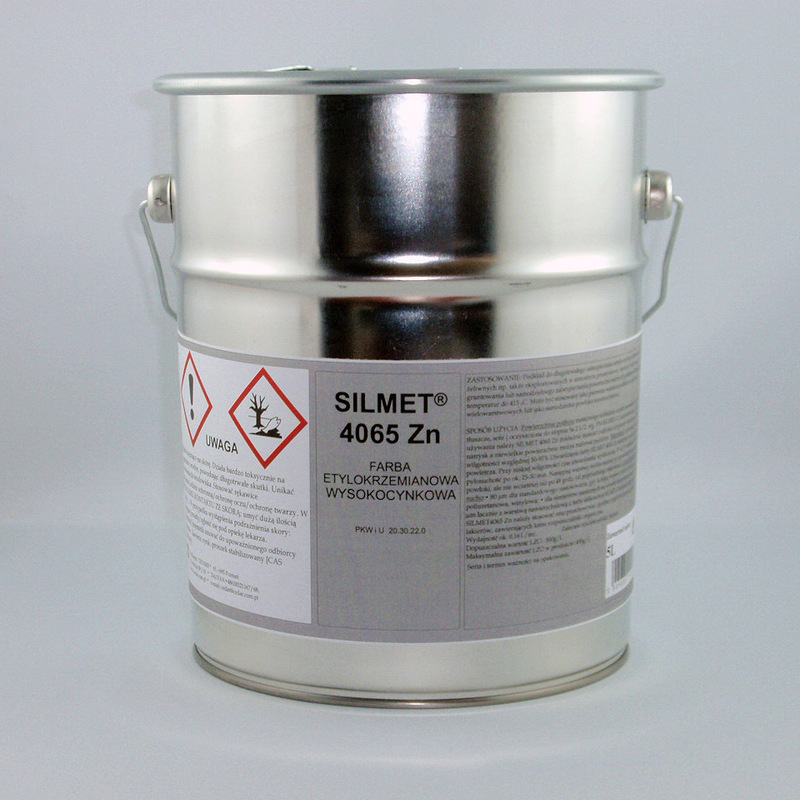 Due to high resistance for outdoor conditions and waterproof properties SILMET 5050 BLACK could be used as protection for plaster, concrete and wood elements. Zinc-plated sheets could be covered also (after oxide removal). 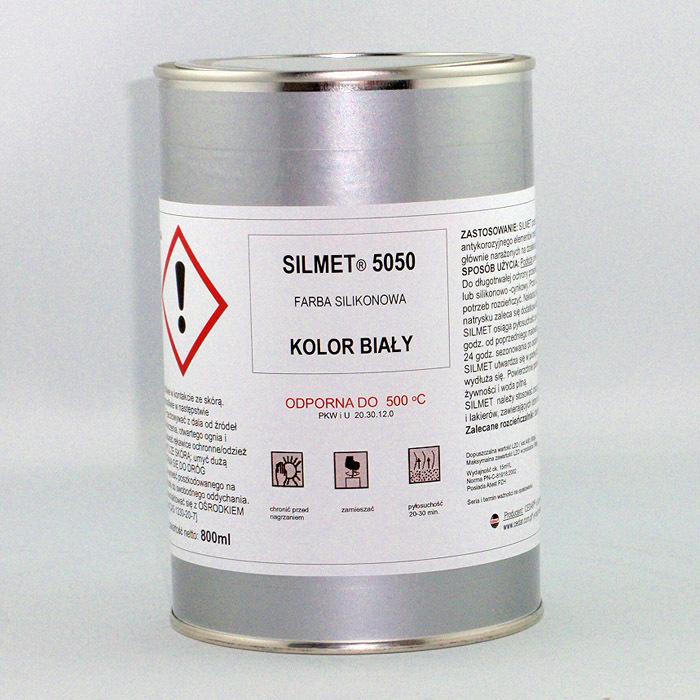 SILMET 6015 S can be used for internal combustion engine blocks and silencers protection. 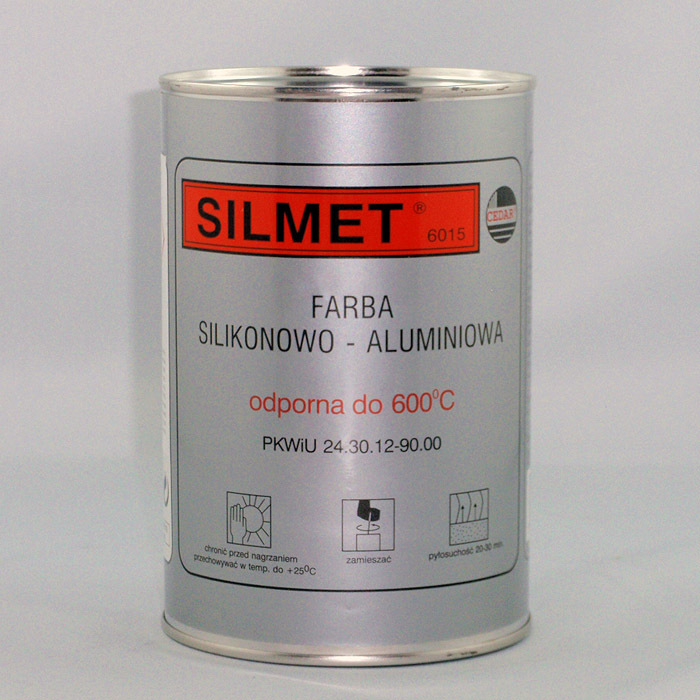 SILMET 6015 S could be applied as preserving agent for metal constructions, used in increased temperatures (chimneys, fittings, and furnaces). Due to high resistance for outdoor conditions and waterproof properties SILMET 6015 S could be used as protection for plaster, concrete and wood elements. Zinc-plated sheets could be covered also (after oxide removal). One-component ethyl silicate paint with high zinc content, hardening when subject to humidity present in the air. 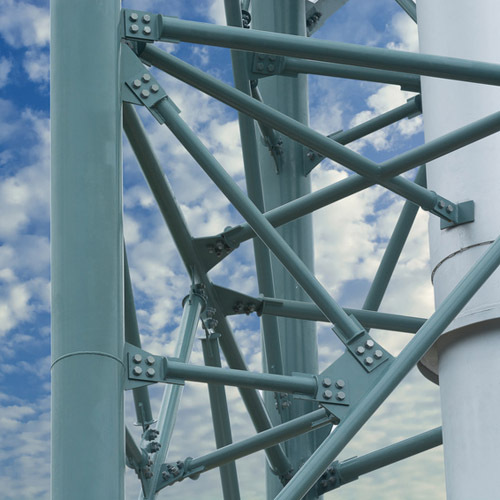 A primer for long-term anti-corrosion protection of steel and cast iron structures, etc., especially in industrial, sea and sea-shore environments. For application as individual top coat. For application as the first coat in multi-coat systems. 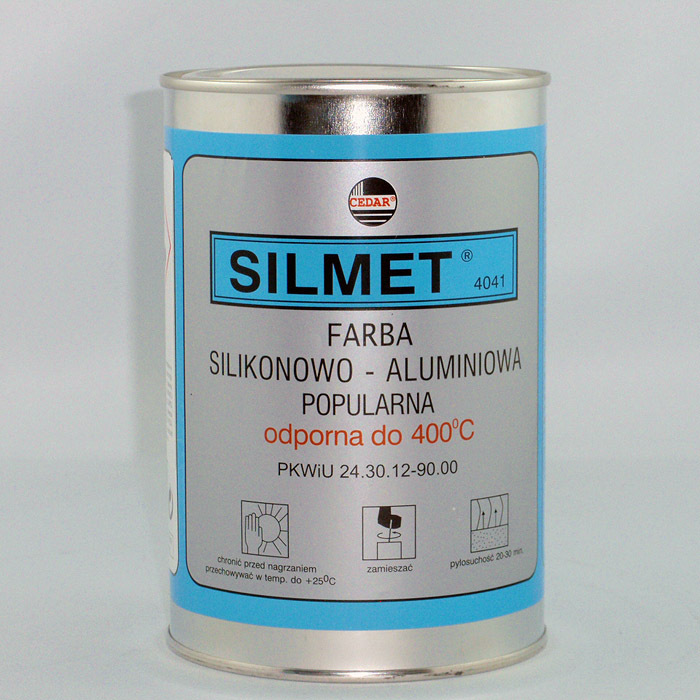 For priming or coating steel surfaces subject to high temperatures up to 415 oC. One-component ethyl silicate paint with economic zinc content, hardening when subject to humidity present in the air. A primer for anti-corrosion protection of steel and cast iron structures, etc., especially in industrial, sea and sea-shore environments. 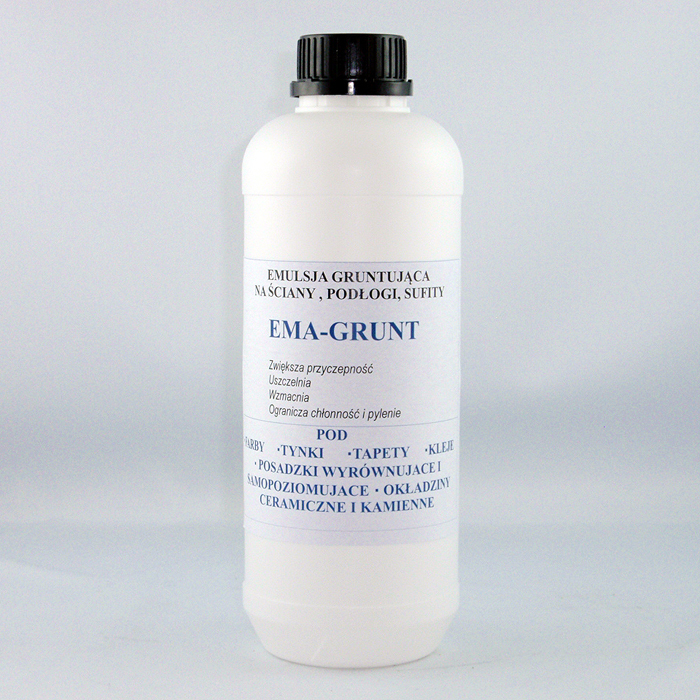 EMA-GROUND is a deep penetrating polymer emulsion for priming and sealing mineral bases, outdoors and indoors. EMA GROUND strengthens surface of primed mineral substrates. 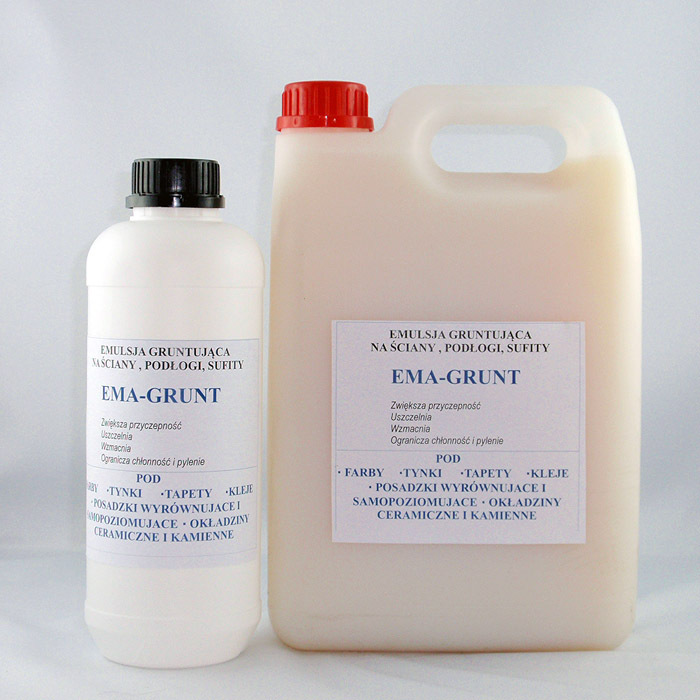 EMA GROUND unifies absorptiveness and strengthens substrate.Improves the yield of paints surface by them sealing. Forms protective layers on floors improves floor resistance against dusting and helps cleaning it. 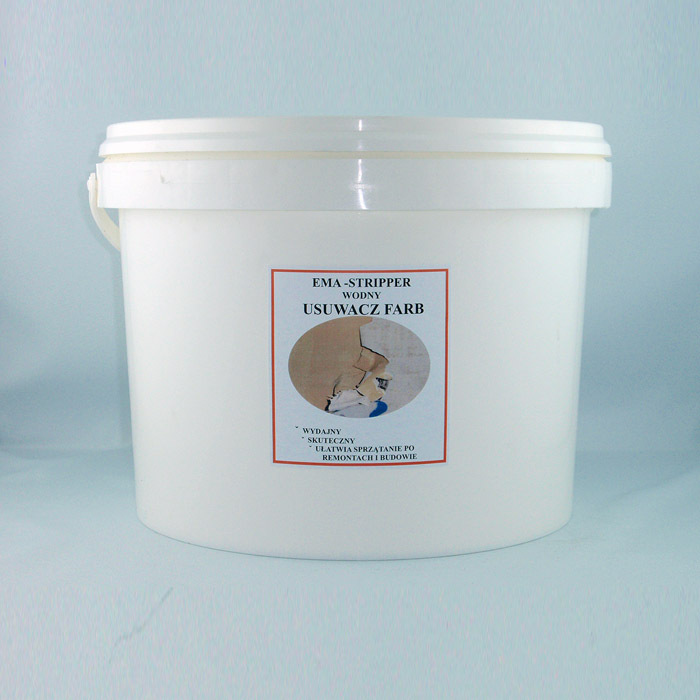 EMA-GROUND stabilizes surfaces after removing old paint with EMA-STRIPPER. 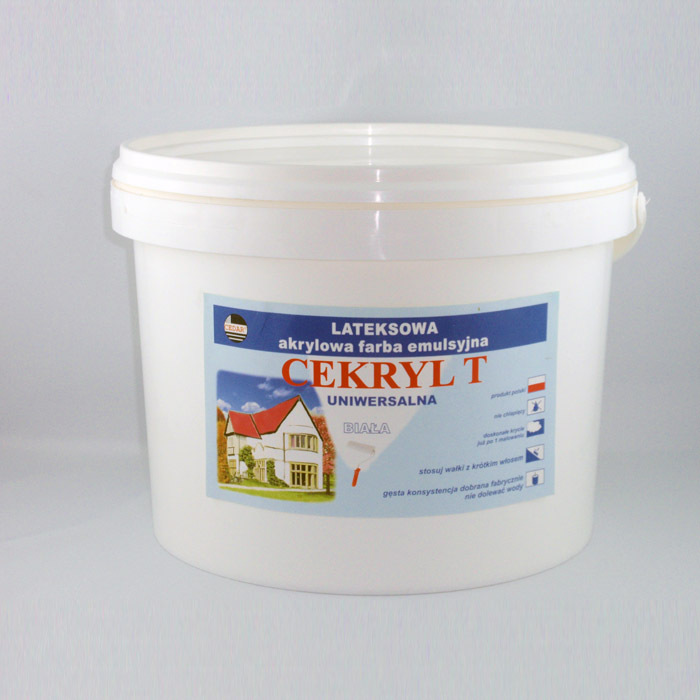 CEKRYL T is specialist non-drip acrylic latex paint for outdoor and indoor use, limiting the re-emergence and growth of fungi, algae and lichens. Resistant to UV, weathering, water, alkali, and washing and scrubbing with an extra strong protection against bacteria, fungi and algae which makes it particularly resistant to prolonged exposure to moisture such as elevations and areas of high humidity. It is permeable to water vapor and gases, so the layer of paint does not form condensation of water. It has little tendency to soil and also the ability to self-cleaning in the rain. For protective and decorative painting of external facades of buildings located in the industrial atmosphere and interior painting, which require high resistance to moisture, scrubbing and washing. It’s base of CEKRYL T paint suitable for coloring pigment pastes. 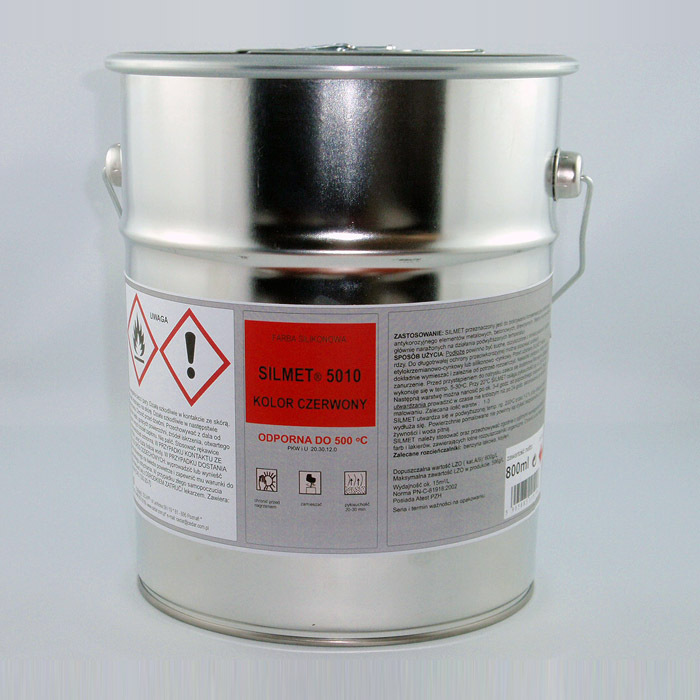 This product is an equivalent of CEKRYL T latex paint, has a lower titanium dioxide content, mixed with pigment pastes gives emulsions with higher colour strength and lower price. Pastel shades of paint colorants can get CEKRYL T, which is produced in the highest quality titanium white. 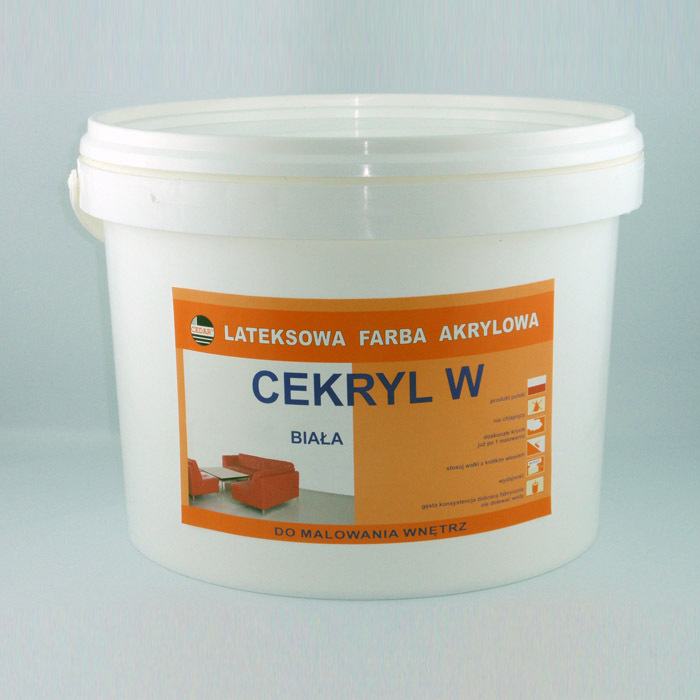 CEKRYL W is specialist non-drip acrylic latex paint for indoor use, limiting the re-emergence and growth of fungi, algae and lichens. Resistant to UV, weathering, water, alkali and washing and scrubbing with an extra strong protection against bacteria, fungi and algae which makes it particularly resistant to prolonged exposure to moisture such in high humidity areas such as bathrooms . It has good adhesion to substrates, creating a smooth and matt coating. For protective and decorative painting of walls and ceilings in residential and public buildings, including their elements of plaster, concrete, stone, brick. 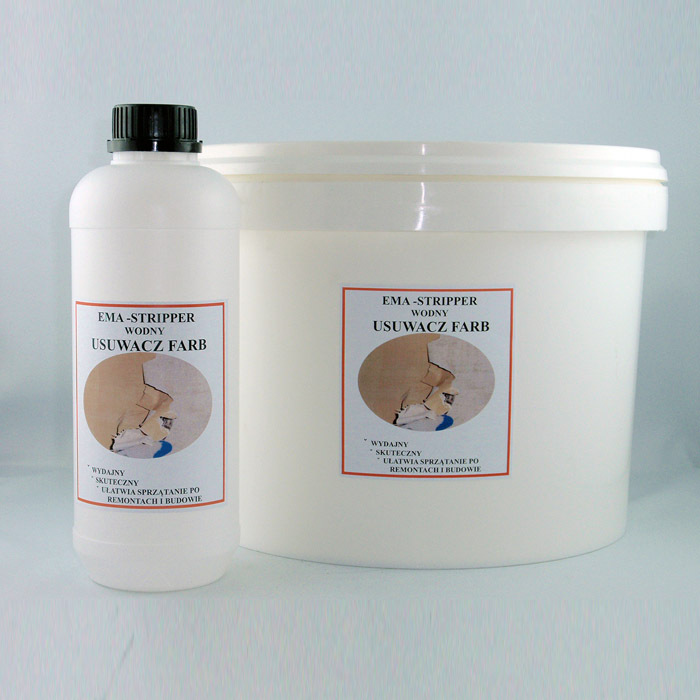 It’s base of CEKRYL W paint suitable for coloring pigment pastes. This product is an equivalent of CEKRYL W latex paint, has a lower titanium dioxide content, mixed with pigment pastes gives emulsions with higher colour strength and lower price. Pastel shades of paint colorants can get CEKRYL w, which is produced in the highest quality titanium white. EMA-STRIPPER successfully removes, among others, old emulsion acrylic, acrylic-styrene, polyvinyl acetate- based and vinyl copolymer - based paint. Due to its gel formula, the product is easy to apply on vertical surfaces and it can be removed at any time with water. It does not affect the structure of the structure of the base and is biodegradable. It constitutes an attractive alternative to aggressive solvent-based strippers. It is indispensable for cleaning surfaces stained with primers, dispersive plasters, wax and emulsion paint. Ethyl silicate-silicone system for anti-corrosion protection of surfaces operating at temperatures from -80 °C to +400 °C, such as steel structures, pipelines, equipment, flues, etc. Painting system for renovation of surfaces infested with vegetation (e.g. algae), fungi, peeling, flood efflorescence, for which complete removal of older paint coats is recommended.